Is there any harm in the alternatives to sugar? Sweetening additives (aka artificial sweeteners) have a sweetness many times that of sugar with few to no kilojoules. This means they can be used in much smaller amounts than sugar – so they provide the sweetness without the extra kilojoules. Their advantages are that they don’t contribute to weight gain and they don’t feed the bacteria living on our teeth. But they're controversial. With many foods, it’s not what you eat that counts – it’s how much. 10 sweetening additives (also known as “intense sweeteners” or “non-nutritive sweeteners”) are approved for use here (see "Sweeteners compared", below) and they’re all regarded as safe. Food regulators have set an Acceptable Daily Intake for most sweetening additives. However, to make sure you don’t consume too much of these sweeteners in your overall diet, the Australia New Zealand Food Standards Code stops them from being added to some foods. The Code also says they can only be added in specified amounts. Food regulators have set an Acceptable Daily Intake (ADI) for most sweetening additives. This is the amount you could safely eat, per kilogram of your body weight, every day of your life. A 2003 survey commissioned by Food Standards Australia New Zealand (FSANZ) found we were most likely to get our sugar-free fix from diet drinks and confectionery, including chocolate and chewing gum. The survey found that most people weren’t eating enough sweetening additives to pose any risk to their health. The only cause for concern was cyclamate. Although average intakes of this were below the ADI, some people aged 12 to 39 exceeded it – mainly from cordials, fruit drinks, soft drinks and table-top sweeteners. As a result the maximum levels permitted in water-based flavoured drinks were lowered. It isn’t necessarily a health risk to eat more than the ADI over a short period of time. ADIs have substantial safety margins and are based on lifetime exposure to the additive. If you want to know if a sweetener’s in your food, look in the ingredients list. It’s listed under “sweetener” with its name or food-additive code number – for example, aspartame or 951. MPI has a downloadable booklet giving the code numbers. Sometimes both the name and the code number will be listed. Aspartame is one of the most-studied food additives in the world and has been safely used for at least 25 years. It’s been reviewed by Food Standards Australia New Zealand (FSANZ), the FAO/WHO Joint Expert Committee on Food Additives, the European Food Safety Authority (EFSA), and the US Food and Drug Administration. Scientific evidence so far supports the safety of aspartame. Despite this, aspartame is still controversial. There are claims it’s been associated with multiple sclerosis, vision problems, Alzheimer’s, and tumours. In 2007 the European Ramazzini Foundation (ERF) published a study that suggested aspartame could cause cancer in rats at levels close to the human Acceptable Daily Intake (ADI). The EFSA reviewed this study and concluded that on the basis of all the evidence, including the Ramazzini study, aspartame did not cause cancer and there was no reason to revise the ADI for aspartame. 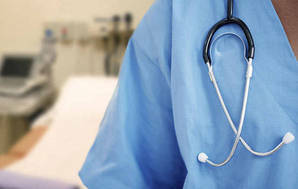 FSANZ agreed with its European counterpart’s conclusions. In 2010, 2 further studies were published questioning aspartame’s safety. EFSA evaluated these studies and said there was no cause to reconsider previous safety assessments. In December 2013 EFSA completed a full risk assessment on aspartame and concluded it’s safe at current levels of exposure. Many people are adamant that aspartame adversely affects them. So the UK Food Standards Agency has launched a pilot study that’s testing individual sensitivity to aspartame through a double-blind placebo-controlled study. This may be useful in providing direction for future research and could provide insights into the issue of possible aspartame sensitivity. The newest sweetening additive allowed is Advantame, approved in 2011. Advantame is derived from aspartame and vanillin. FSANZ independently evaluated toxicity studies on Advantame and concluded that its approval as a sweetener doesn’t raise any public health and safety issues. Acesulphame-K is not metabolised or stored in the body. After it’s consumed, it’s quickly absorbed by the body and then rapidly excreted unchanged. It’s been claimed that acesulphame-K is associated with tumours of the lungs and glands in rats, and with increased cholesterol levels in diabetic rats. But more than 90 studies have verified its safety. There’s no evidence of any harmful effects from this group of sweeteners. Thaumatin has no Acceptable Daily Intake (that’s because it’s considered to have a very good safety profile). Animal studies in the 1960s suggested cyclamate was carcinogenic. This is no longer considered the case and it’s approved in many countries. Saccharin has been linked with bladder cancer but there’s no definitive evidence it’s carcinogenic. Stevia (specifically steviol glycosides), was approved in 2008. Stevia is extracted from the Stevia rebaudiana plant and is considered a more natural sweetener than its artificial counterparts. It has been approved for use in many countries. But it has been controversial: the US Center for Science in the Public Interest says it’s been inadequately tested. Sucralose is the only intense sweetener made from sugar. It’s chemically altered so can’t be digested. Numerous studies verify that it has no carcinogenic, neurologic or reproductive risk. Sugar alcohols such as erythritol and xylitol also act as sweeteners. They’re generally less sweet than sugar and are often used for their other properties (emulsifiers or thickeners). They can’t be fully digested, so eating too much can lead to diarrhoea. Erythritol and xylitol don’t have an Acceptable Daily Intake because they’re considered to have a very good safety profile. Chelsea Sugar's LoGICane is raw sugar that has had molasses extract sprayed on it, resulting in a product with a lower GI than sucrose. Low-GI foods are useful for people with diabetes because they have a lower impact on blood-glucose levels. But LoGICane is still 100 percent cane sugar: weight-wise, it packs the same kilojoule punch as regular sugar. There are clear benefits in consuming foods that contain a sweetening additive – especially if you need to limit your sugar or energy intake, or have diabetes. Sweetening additives are usually in processed foods such as soft drinks and confectionery that don’t provide much nutritional content, so you shouldn’t be consuming them in large amounts anyway. Here are our 6 tips for cutting back on sugar if you’re concerned about using sweeteners. 1. Check the ingredients list: Common aliases for sugar include fructose, glucose, corn sugar, dextrose, honey, lactose, maltose, and sucrose. 2. Reduce added sugar gradually: Over time your tastebuds will be trained to appreciate less sugar. 3. Watch what you drink: Sugary soft drinks, juices and sports drinks are major contributors of sugar in our diets and can quickly rack up extra kilojoules. 4. Use spices: By adding flavours like cinnamon, ginger and nutmeg you can reduce the amount of sugar you use. 5. Satisfy your sweet tooth with healthy options: Consider fruit or low-sugar cereal, or add fruit to plain yoghurt. 6. Limit processed sugary foods: Confectionery, chocolate, sugary breakfast cereals, muesli bars, cakes and biscuits are high in sugar and don’t provide much nutritional content. Acesulphame-K 950 0-15 200 Equal Confectionery, canned food, oral hygiene products, pharmaceuticals. Alitame 956 0-1 2000 Not used Toiletries, pharmaceuticals, rarely in food. Aspartame 951 0-40 200 Equal, WeightWatchers Soft drinks, yoghurt, confectionery. Cyclamate 952 0-11 30-50 Sucaryl, Sugromax Confectionery, many foods and drinks. Neotame 961 0-2 7000-13,000 Not found Canned fruit, drinks, confectionery. Saccharin 954 0-5 300 Sucaryl, Sugromax, WeightWatchers Sweet Tabs Confectionery, medicines, toothpaste. 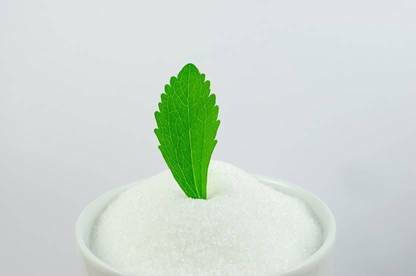 Steviol glycosides (Stevia) 960 4 250-300 Equal Stevia, Betta Sweet, Natvia, Nirvana, Nu Naturals, PureVia, Radiance, Red8, Stevita, Weider Sweetie Fruit drinks, flavoured waters, dairy products. Sucralose 955 0-15 600 Equal Baking, Splenda Drinks, confectionery. Thaumatin 957 n/s 100000 Not used Rarely used, if ever, in food products. Erythritol 968 n/s 0.7 Annie's Natural Sweet 100% Erythritol, Betta Sweet, Natvia, PureVia, Stevita, Weider Sweetie Many foods and drinks. Xylitol 967 n/s 1 Annie's Natural Sweet 100% Xylitol, Stevita Confectionery, oral health products, throat lozenges, cough syrups. ADI is the Acceptable Daily Intake (milligrams of sweetener per kilogram of body weight, per day); n/s = no ADI specified because of very good safety profile. Sweetness is in relation to sugar (sugar = 1). Found in shows the commercial (table-top) sweeteners that contain the sweetening additive. is the revolting aftertaste. Aspartame is the worst, but even Stevia has one. When we heard about Charlies Honest Fizz (containing less sugar, they stated) we thought we'd give it a go because it SHOULD have been less sweet and more flavoursome than other soft drinks. It was far too sweet because they'd replaced some sugar with Stevia, and I hated the aftertaste this gave. They could have left out the Stevia and the drink would have more more than sweet enough. I remember buying Pam's tonic water so we could have a gin and tonic. I tasted it and said to my husband, "Can I have a look at that tonic bottle?" Sure enough, Pam's had replaced some of the sugar with Aspartame. I use this for sweetening generally in small quantities eg third of a tsp in my coffee. I am concerned that few tests have been done. Is there any evidence for its safety or would I be better moving to something else? Before any additive can be added to food it must undergo a safety assessment and there must also be a good technological reason for the additive to be used. In the case of stevia, it is about 300 times sweeter than sucrose (white sugar) and has almost no kilojoules – so adding it to your daily coffee can help reduce your daily kilojoule intake. The European Food Safety Authority has concluded stevia is safe for human consumption and the World Health Organisation has determined a recommended daily upper limit, an amount most people would be hard-pressed to consume. Artificial sweeteners are associated with weight gain. I don't think Consumer should recommend them at all. Aspartame in particular is associated with a range of adverse effects in independent studies, and there are bad effects on the brain. Sweetening additives have few to no kilojoules and a sweetness many times that of sugar. This means they can be used in much smaller amounts than sugar – so they provide the sweetness without the extra kilojoules. According to Dietitians NZ sweeteners are an important step in weight management for many people. Aspartame has been reviewed by food regulatory bodies around the world, including Food Standards Australia New Zealand and the World Health Organization, and evidence to date supports its safety. In March 2015 the UK Food Standards Agency published the findings of a study determining reactions to aspartame in people who have reported symptoms in the past compared to people with no reported symptoms. The double-blind randomised crossover study concluded that the participants who were self-diagnosed as sensitive to aspartame showed no difference in their response after consuming aspartame or not. Aspartame does carry a risk for a small number of people with the rare inherited disorder phenylketonuria (PKU). For this reason all non-protein products containing aspartame must carry a warning label. This also means consumers can choose to avoid aspartame if they want to.